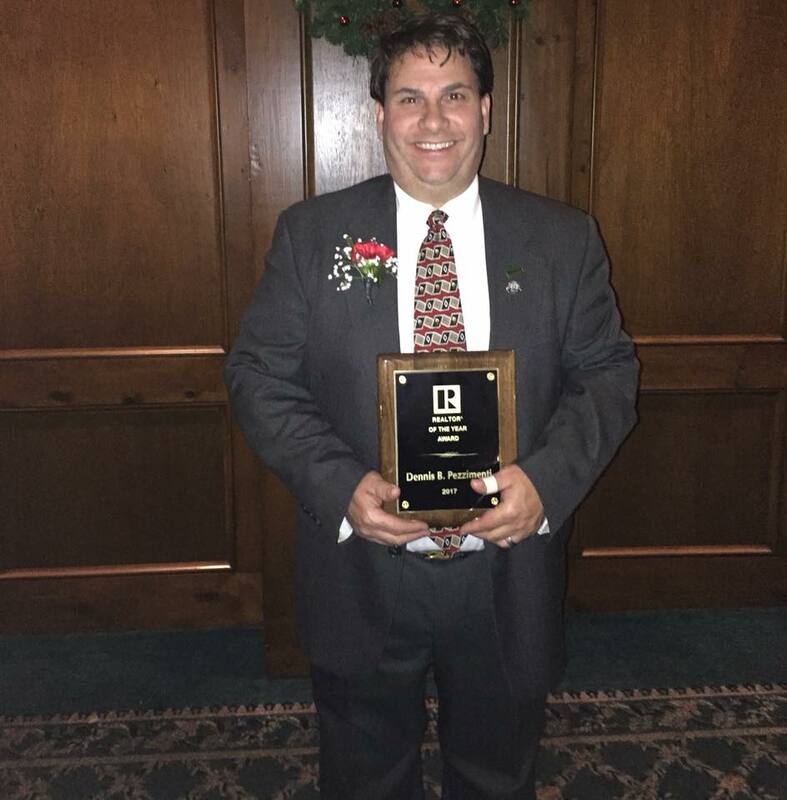 Mayville, NY (November 16 2017) The Chautauqua Cattaraugus Board of REALTORS (CCBR) named Howard Hanna Professionals Broker Dennis Pezzimenti “REALTOR of the Year” Thursday at their annual Installation dinner held at Webb’s Resort in Mayville. This award is not solely based on his exemplary real estate practices. It is also based on his commitment and support for the community. 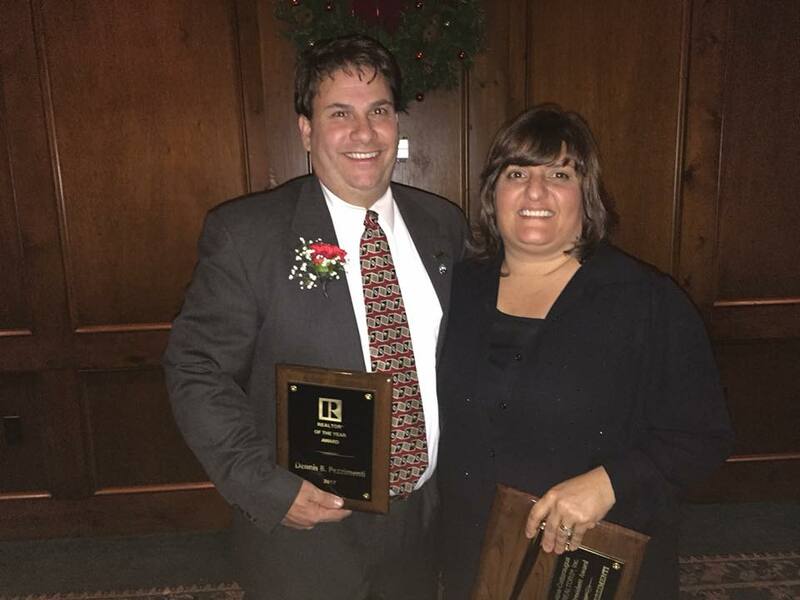 Dennis was presented the award by last year’s winner Associate Broker Anne LaPaglia of Howard Hanna Holt. A Realtor since 1989, Dennis started as a part time agent and eventually became full time in the mid 1990's. He started his own office DBP Realty with his wife Pamela in 2001. In 2017, he merged his company with Howard Hanna Holt and formed Howard Hanna Professionals. Dennis & Pamela's son Paul, is also a full time real estate agent. Their daughter Mary attends college SUNY Geneseo. Dennis is the son of Francis & Mary Pezzimenti, also of Olean. Dennis is a member of the National Association of Realtors. Serves on the Board of Directors of the New York State Association of Realtors served as president of Chautauqua Cattaraugus Board of Realtors for the past two years, presiding over the combination of the Chautauqua and Cattaraugus Boards as well as their switch to a more advanced Multiple Listing Service Provider. Dennis will continue to serve CCBR as Vice President in 2018. Dennis has been involved in his community in many capacities. He serves on Olean General Hospital Foundation Board and the Cattaraugus Region Community Foundation. He was past co-chairman of St. John's Festa Italian for several years. Dennis served on the board of directors, executive committee, membership committee & finance committee & served as past Board President of the Greater Olean Area Chamber of Commerce. He is currently chairman of the board of directors of Olean Business Development Corp and serves on its executive and downtown development committees. Despite all of his activities and obligations Dennis is a devoted family man, beginning his acceptance speech by thanking his wife Pam and his son Paul. Dennis has been a youth coach for several of his children's sports teams in the past. He is a very active member of his church. Dennis has eight brothers and sisters all located in Western New York. Pezzimenti, who received a standing ovation, also thanked his agents/staff, community, Board Members, and new partners in Howard Hanna Professionals the Holts. Also at the event, the Board swore in their officers and Board of Directors: President Roberta Thompson (Real Estate Advantage), Vice President Dennis Pezzimenti (Howard Hanna Professionals), Secretary Anne LaPaglia (Howard Hanna Holt), Treasurer Kelly Patrone (Howard Hanna Professionals). Members of the Board of Directors were: Sandra Calalesina, William Soffel, Diana S. Holt, Kenneth M. Bailey, Donna Breen, and Richard McMahon.